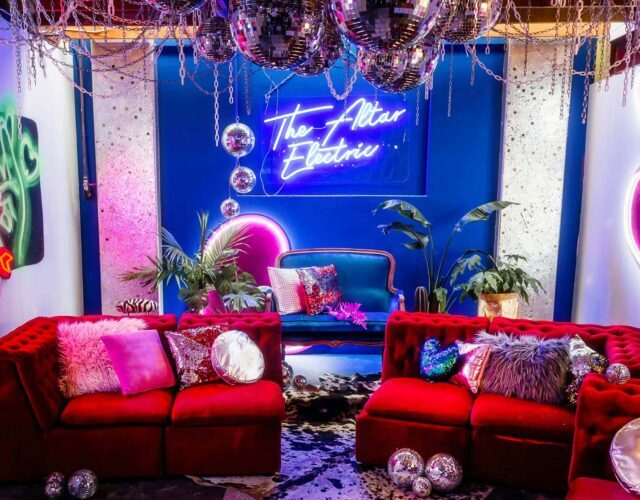 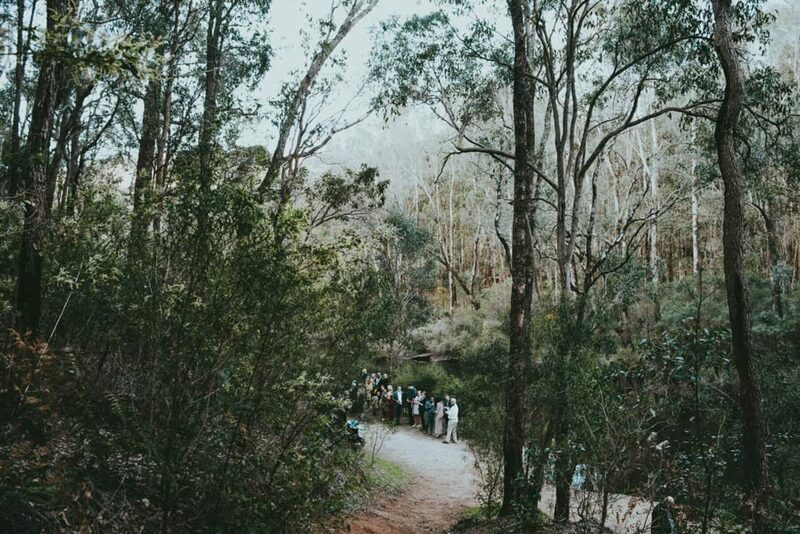 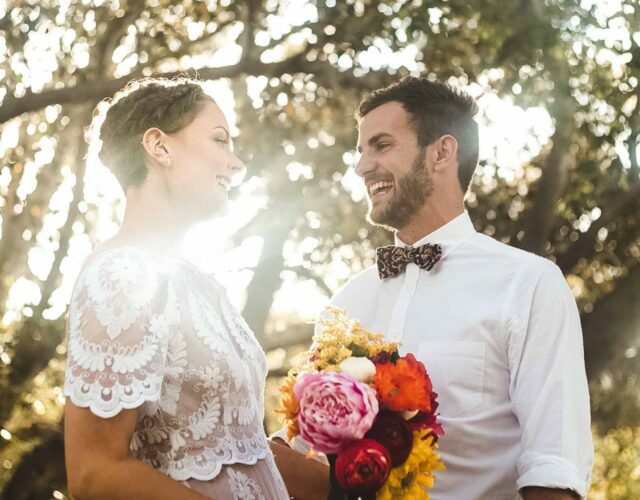 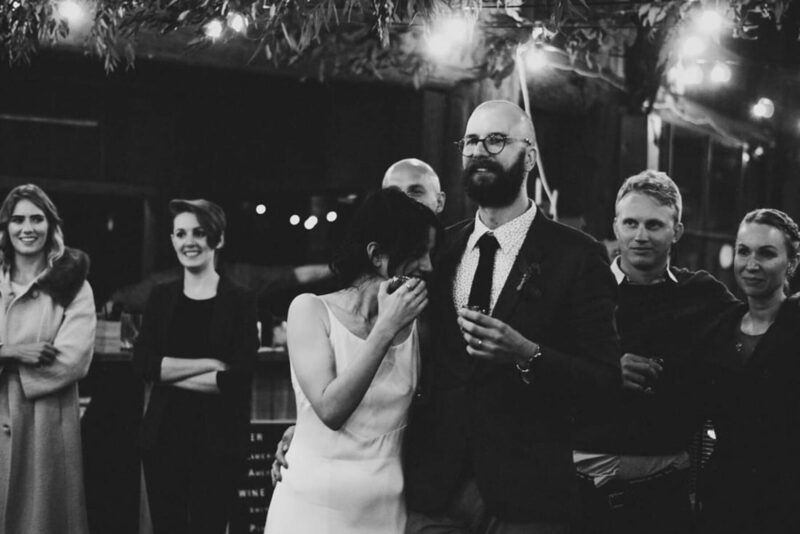 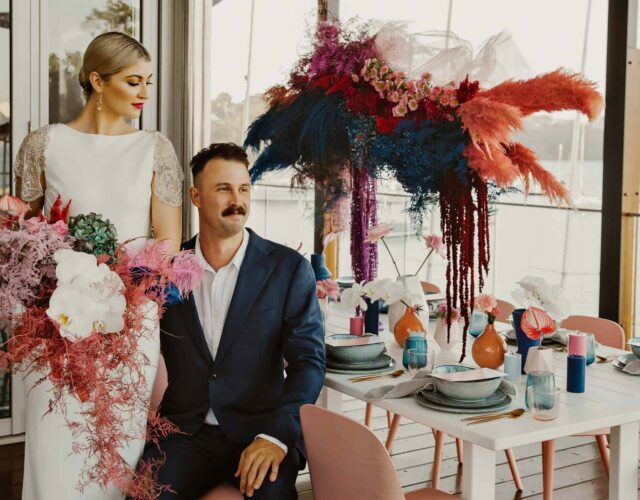 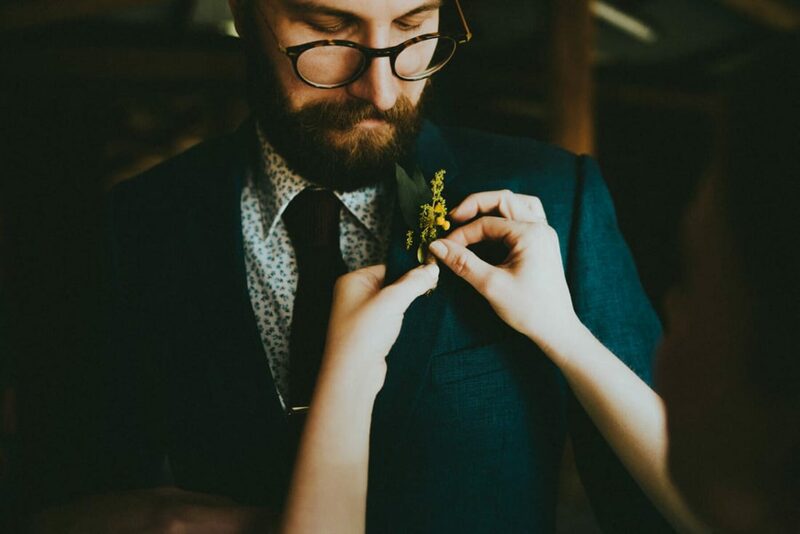 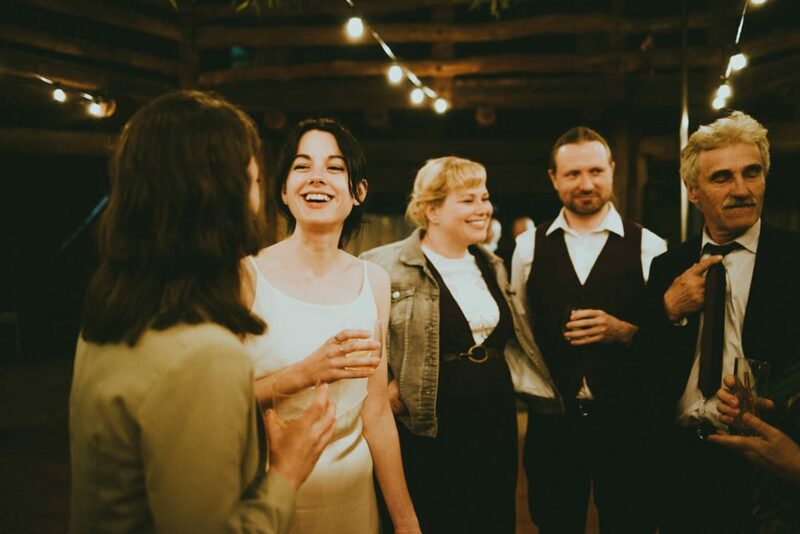 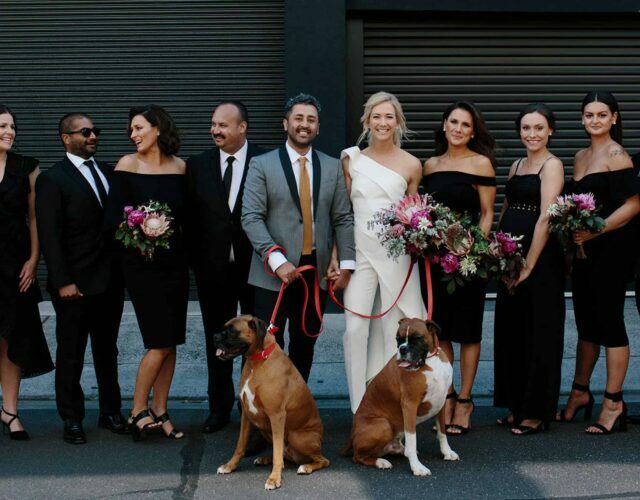 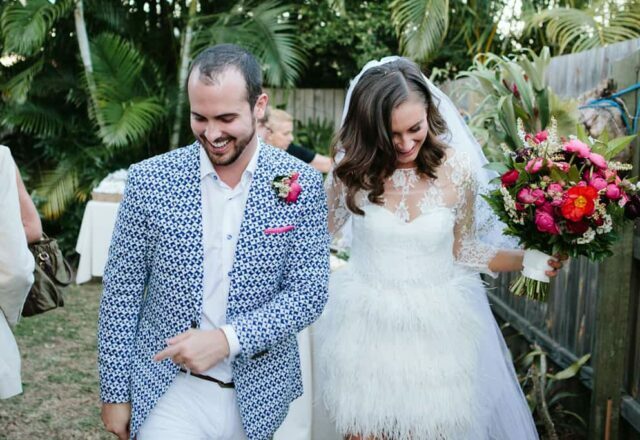 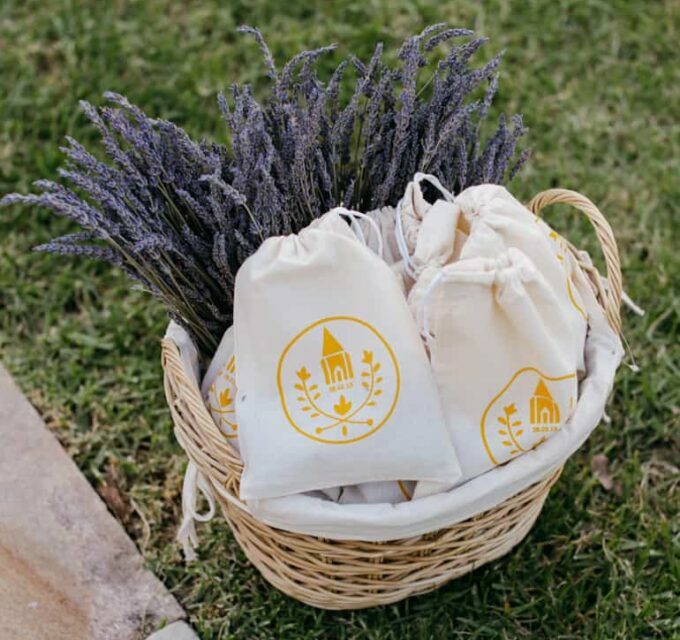 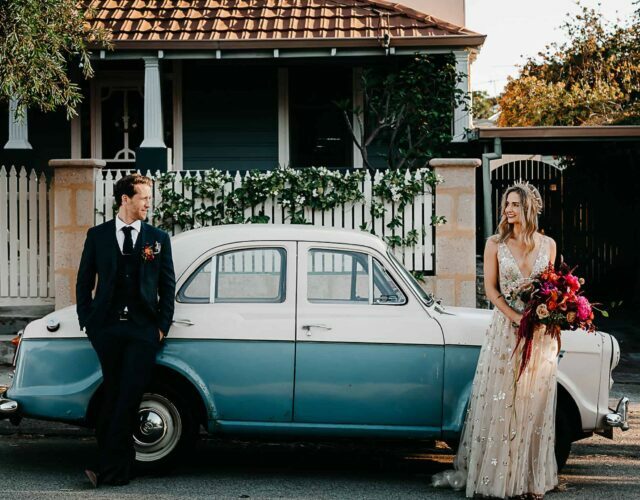 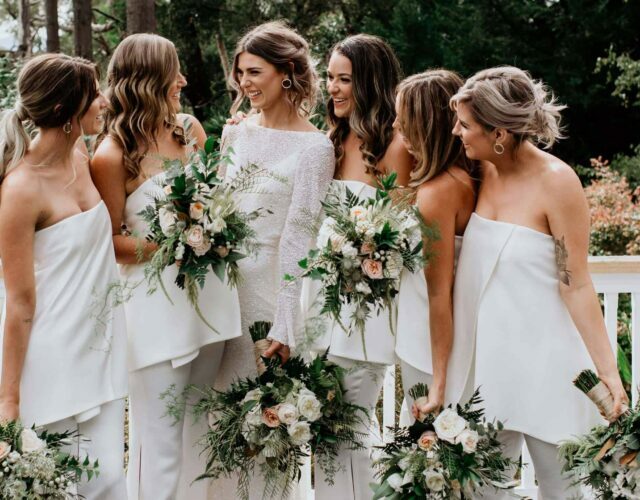 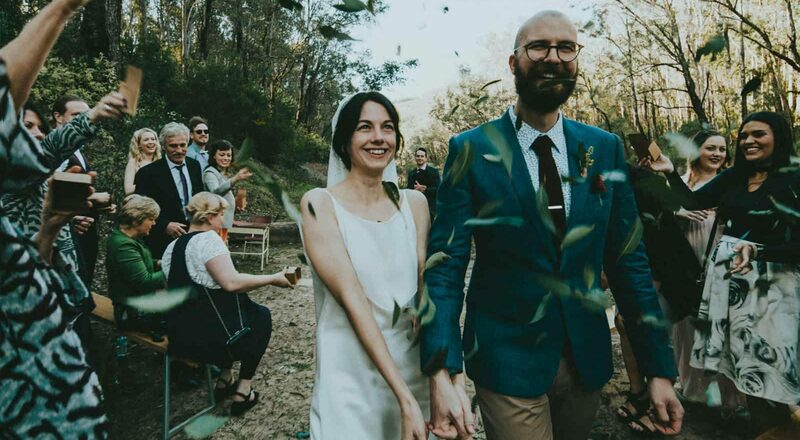 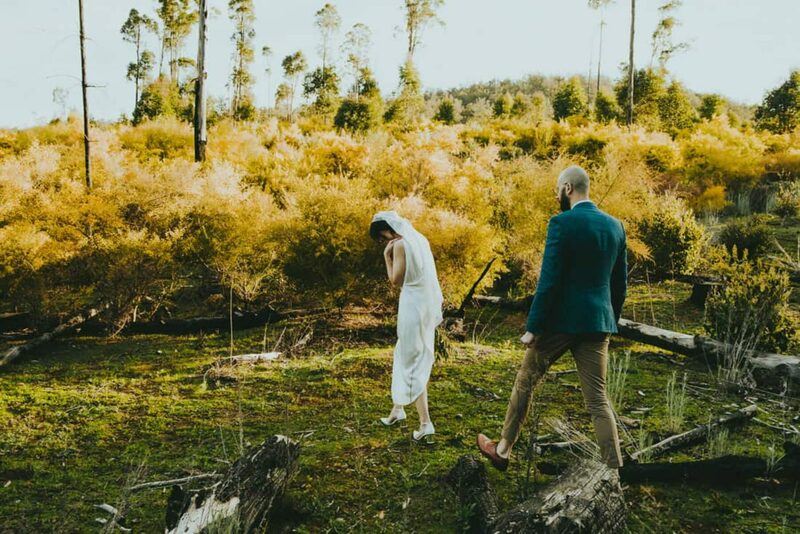 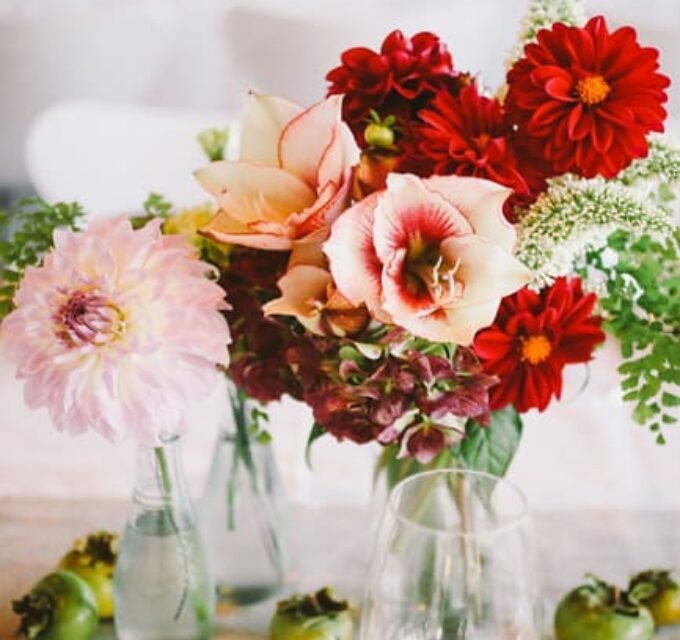 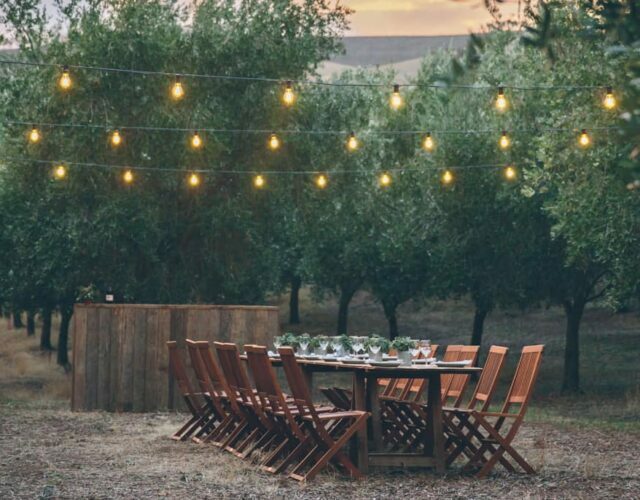 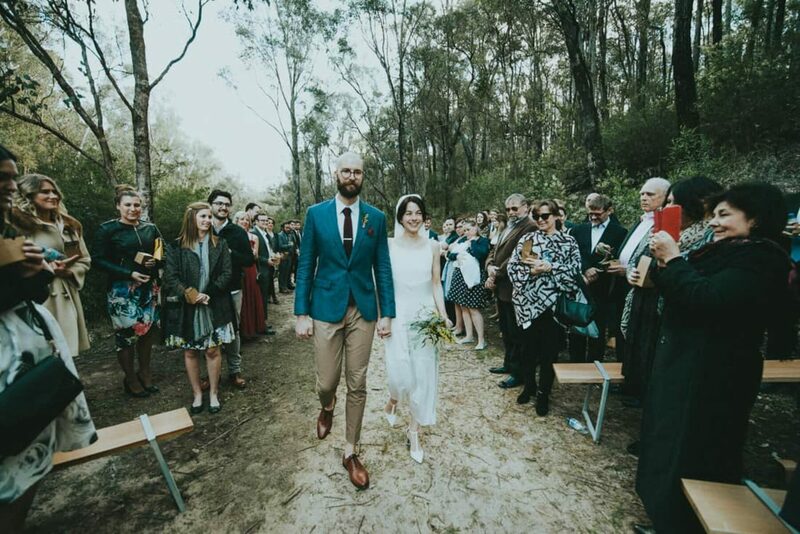 There are DIY touches and then there are DIY weddings… Joana and Brett planned and executed every aspect of their WA nuptials themselves, with a little help from their family and friends of course. 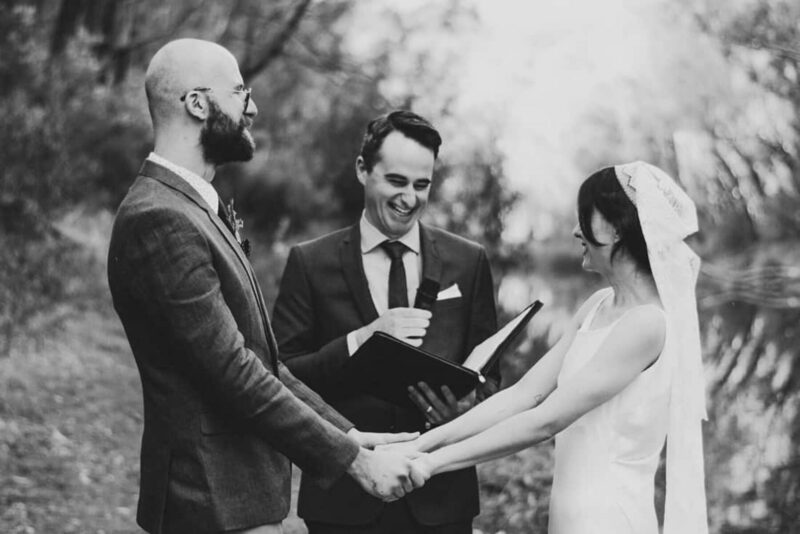 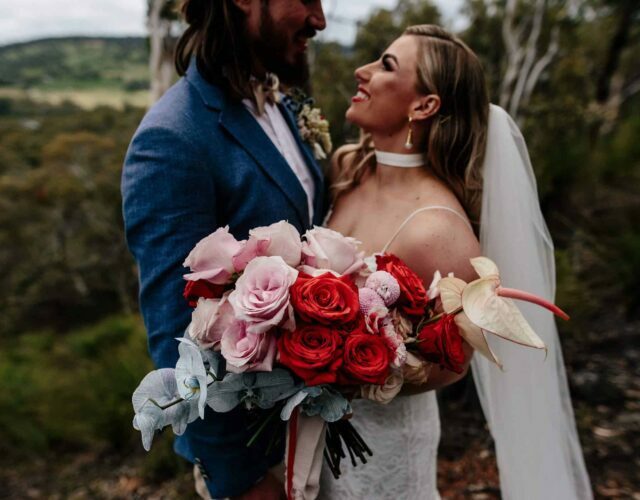 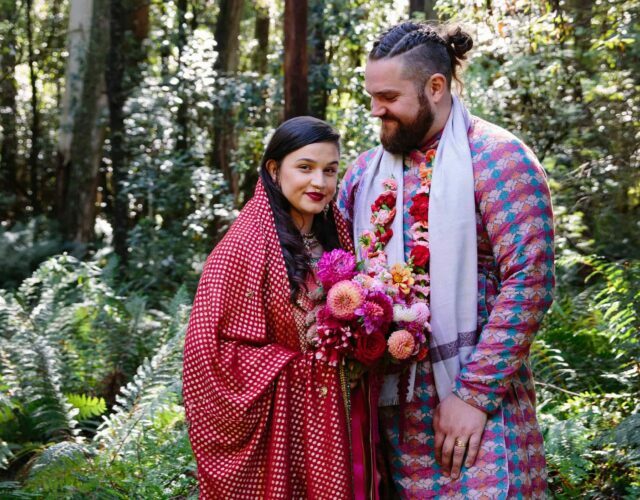 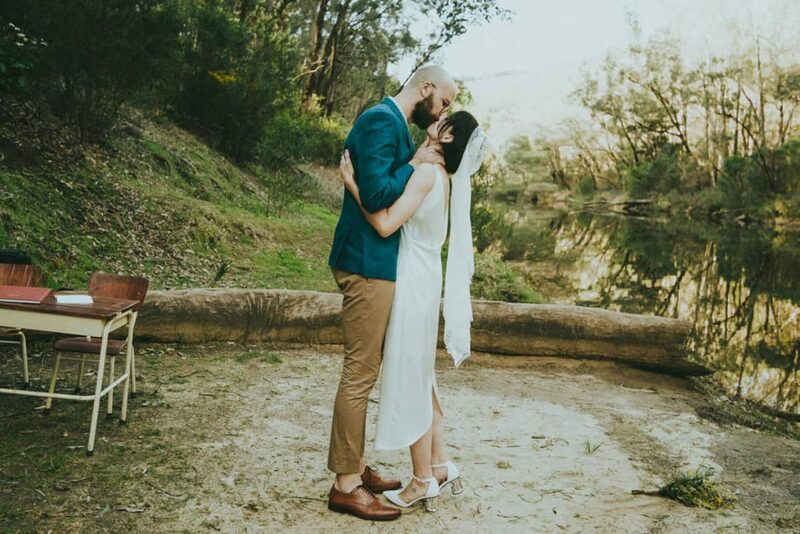 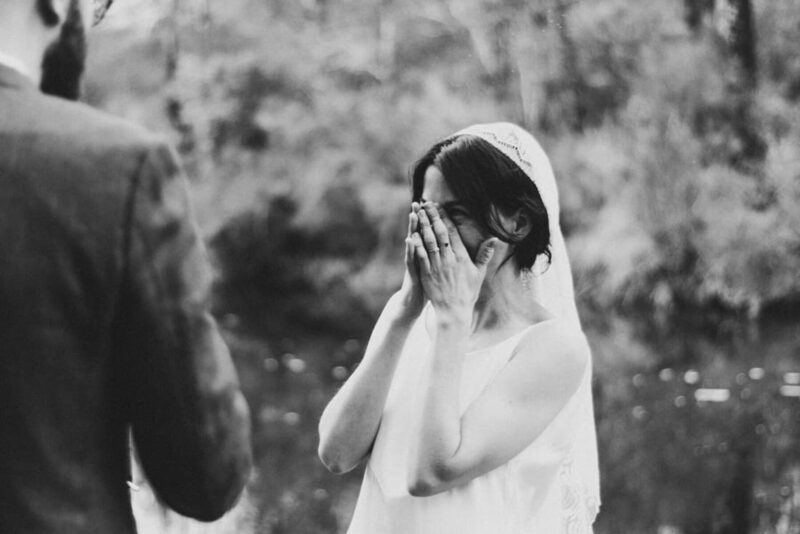 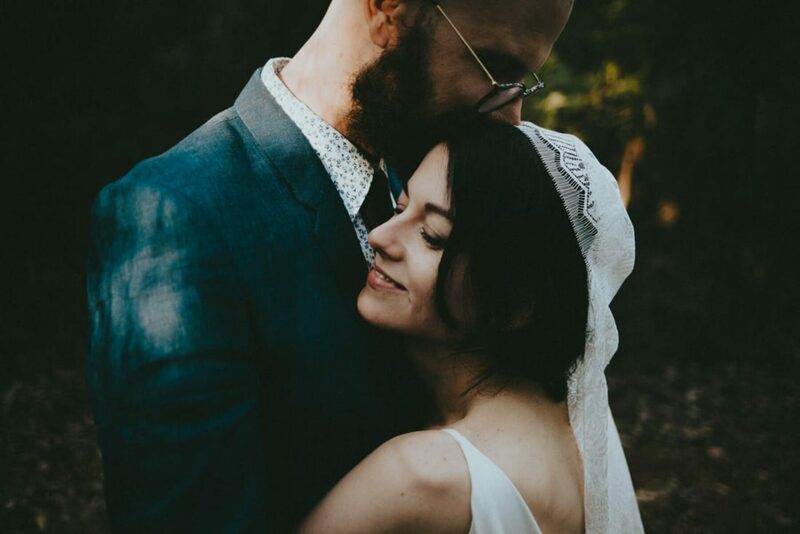 The small ceremony oozed the couple’s organic personalities and was held where they both grew up, on the banks of the Murray River. 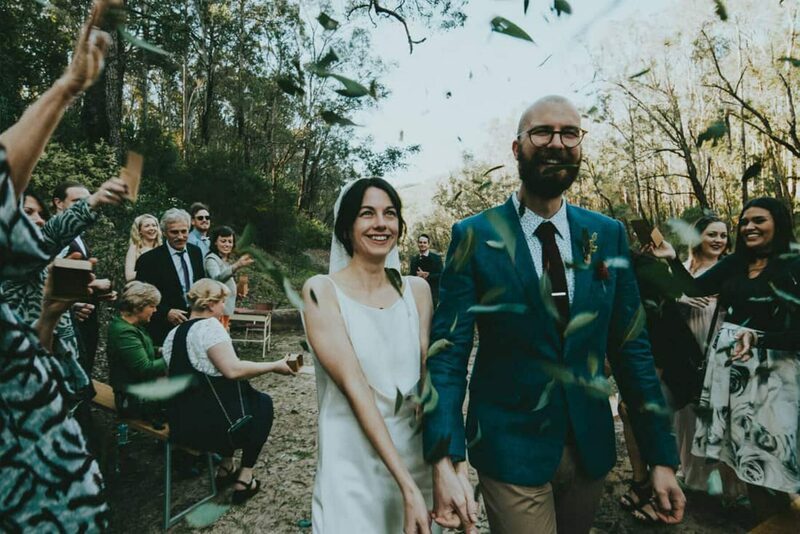 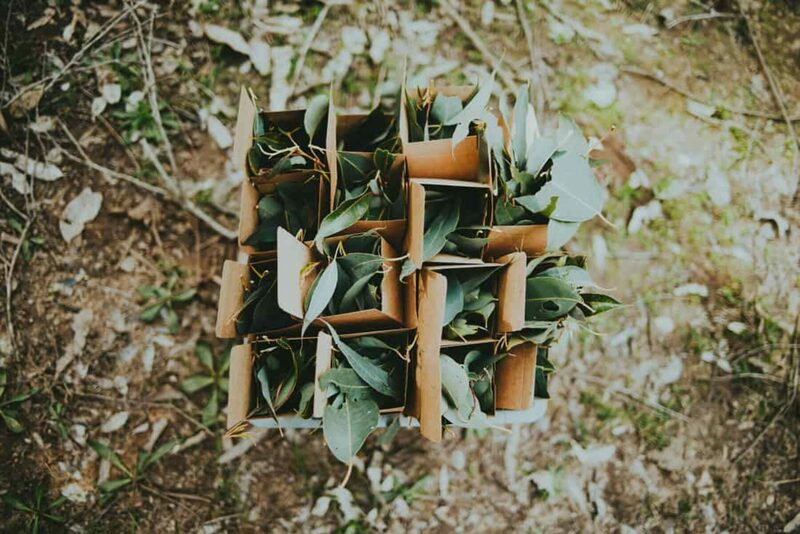 Brett and Joana chose to walk down the aisle together, write their own vows and provide guests with gum leaves to throw as confetti. 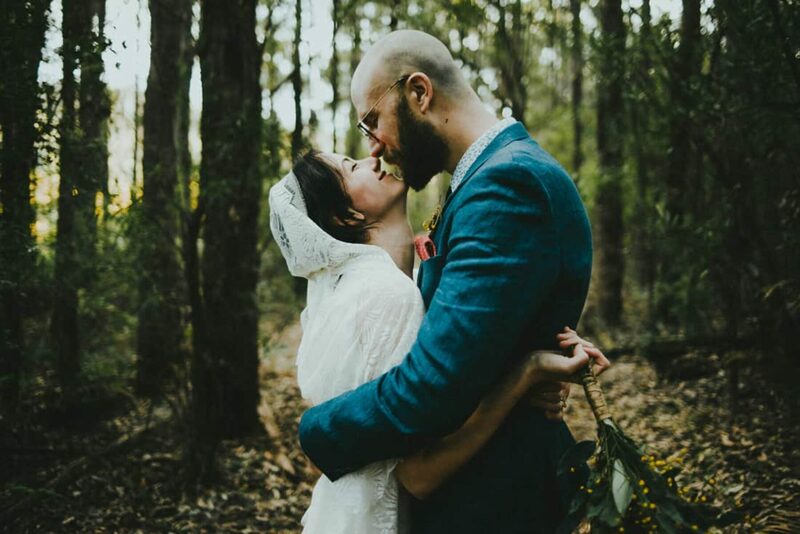 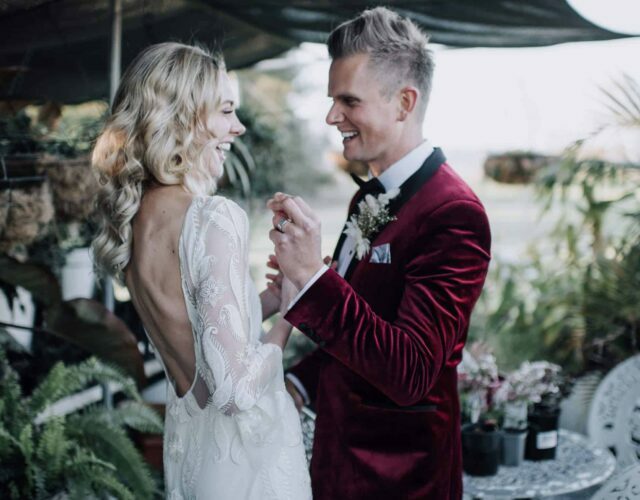 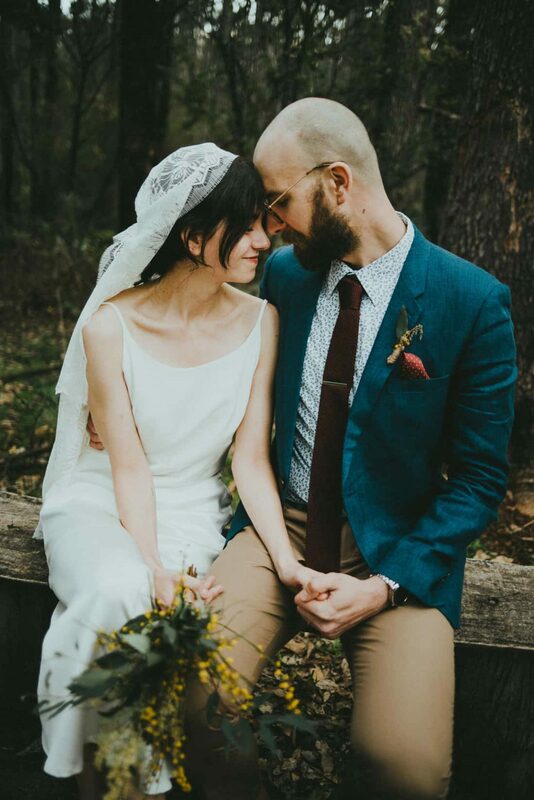 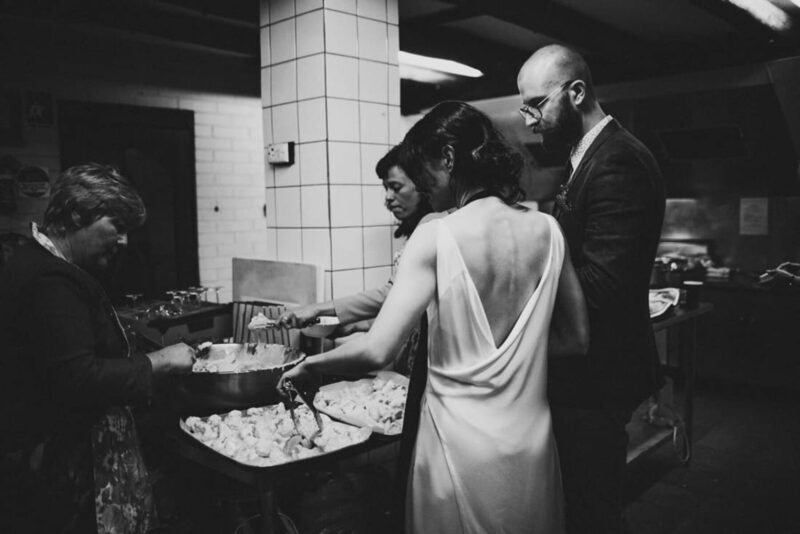 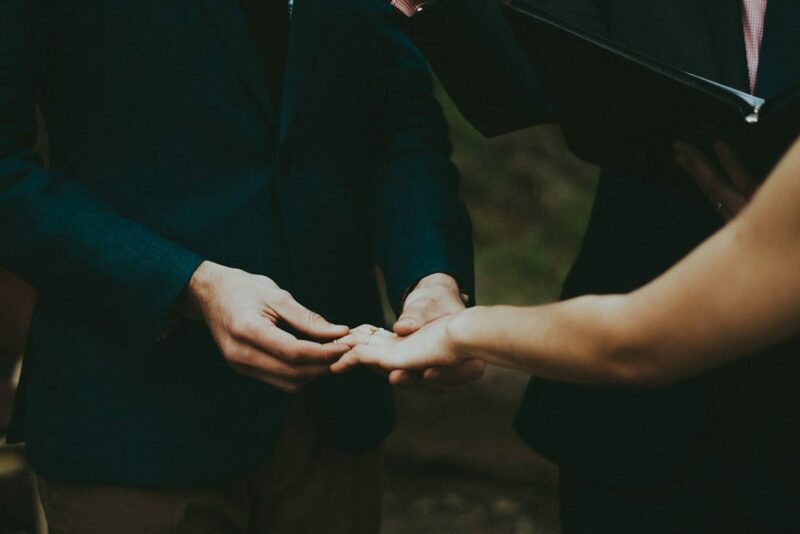 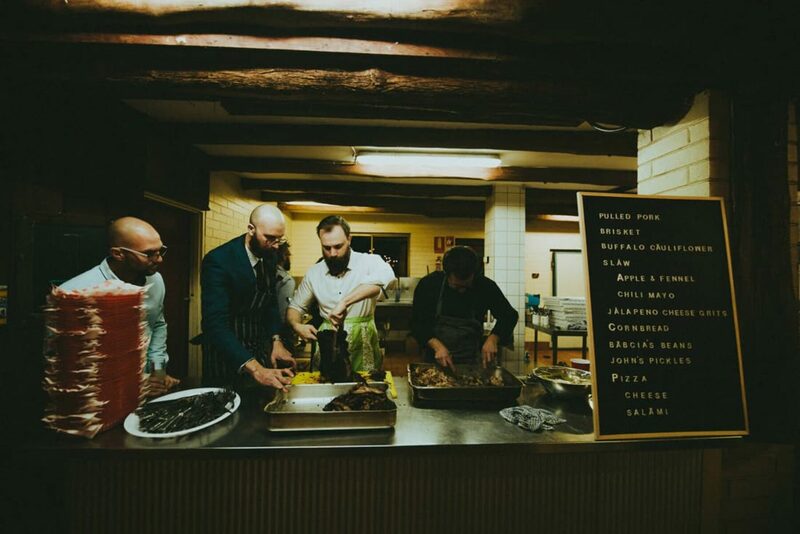 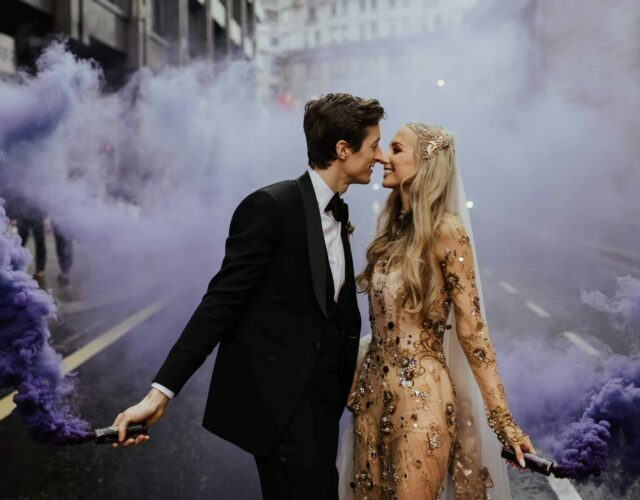 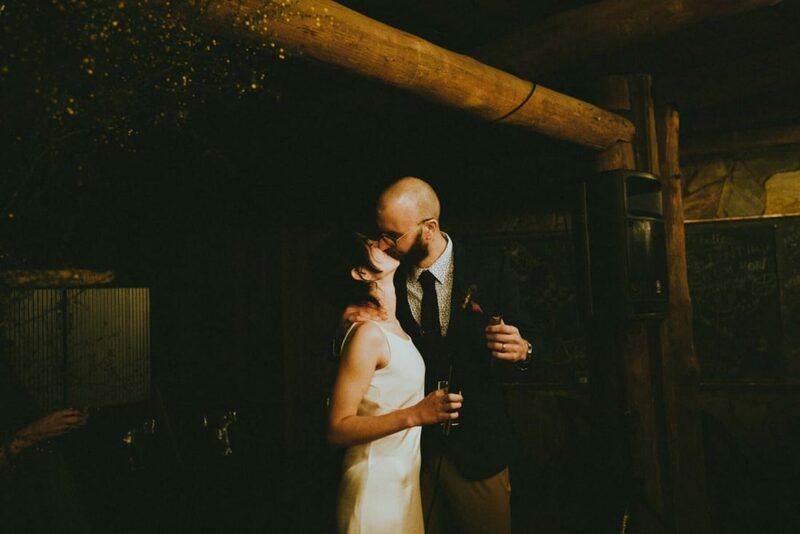 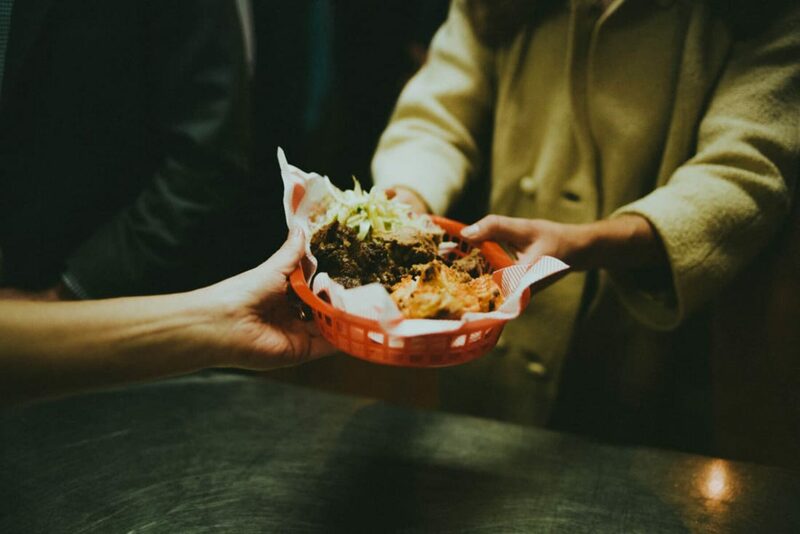 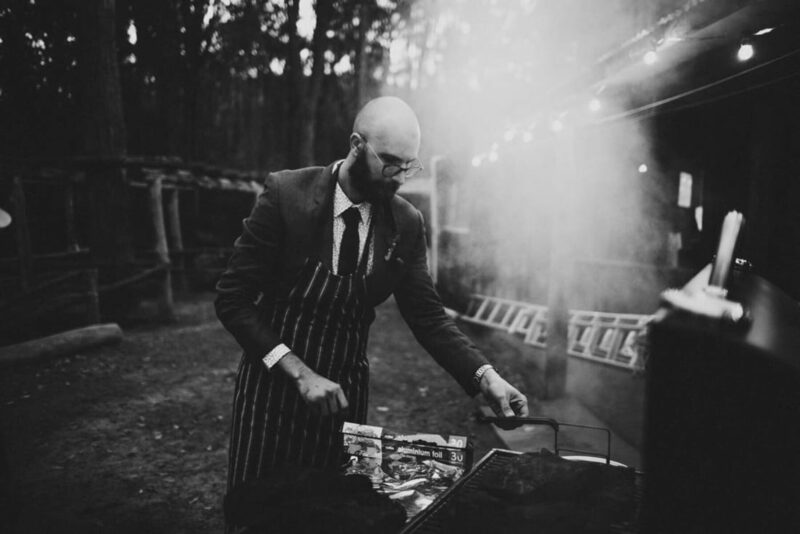 Tanya Voltchanskaya captured all the day’s excitement – from the first kiss to the first dance, Joana operating the deep fryer and Brett cooking up a feast on the BBQ! 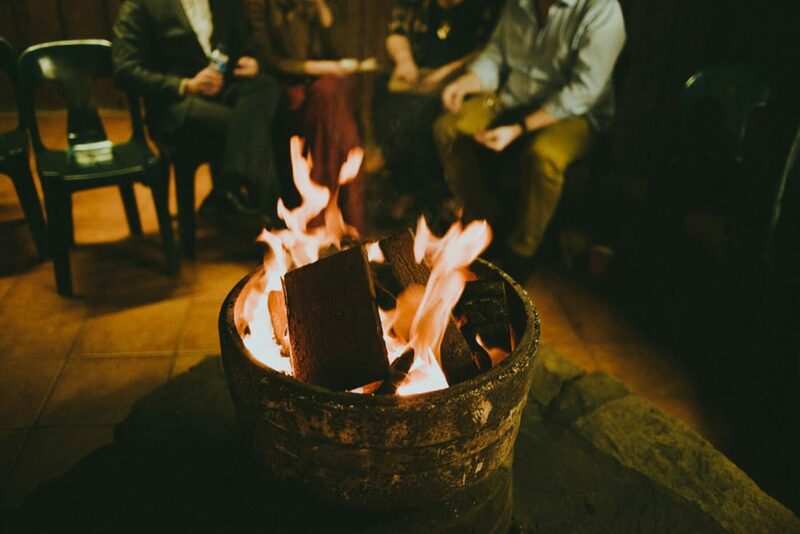 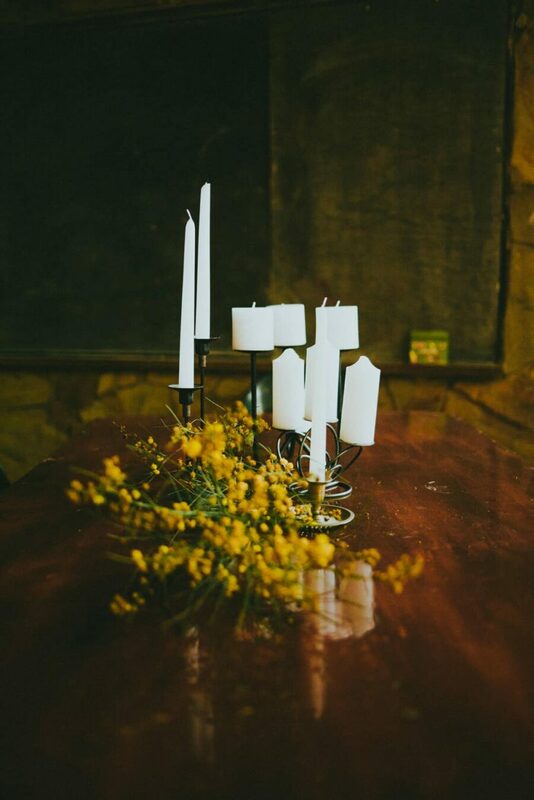 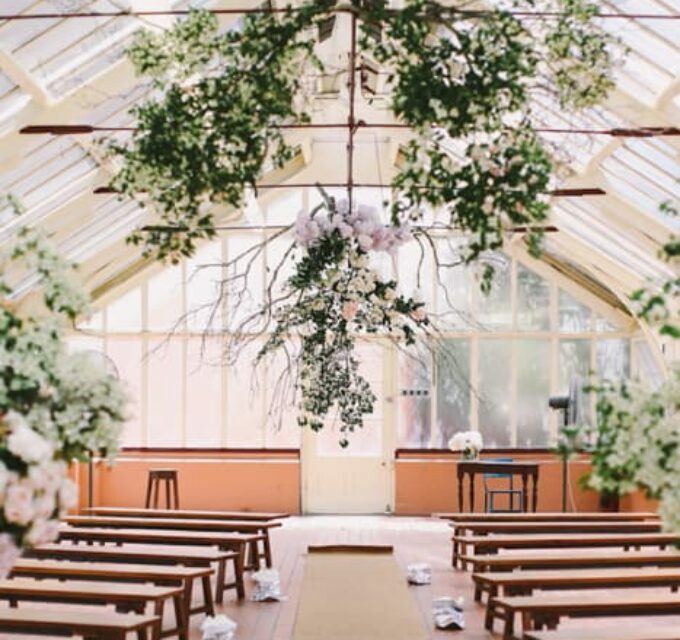 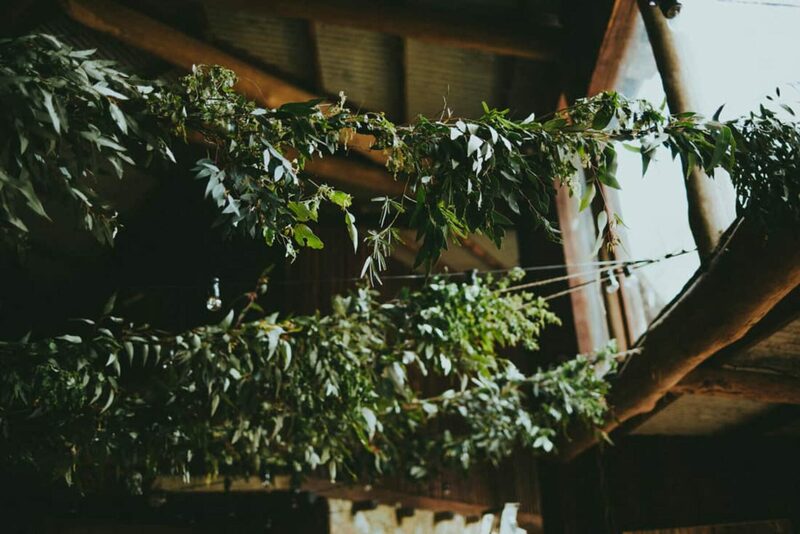 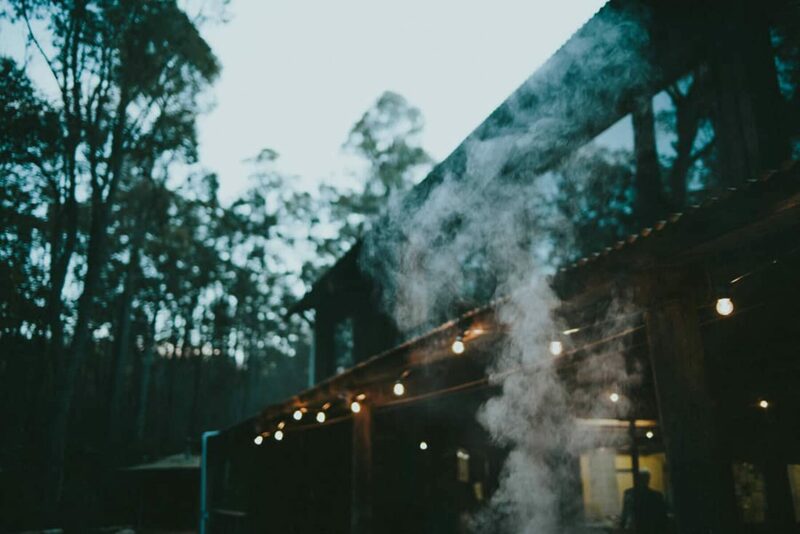 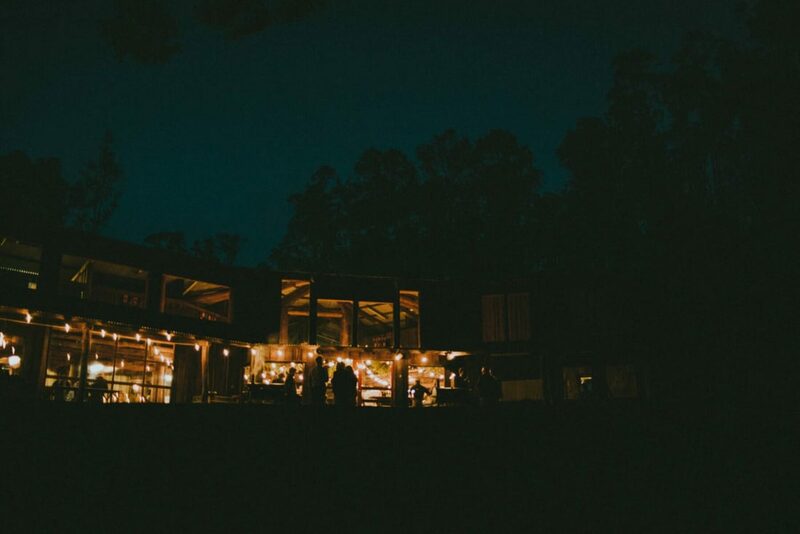 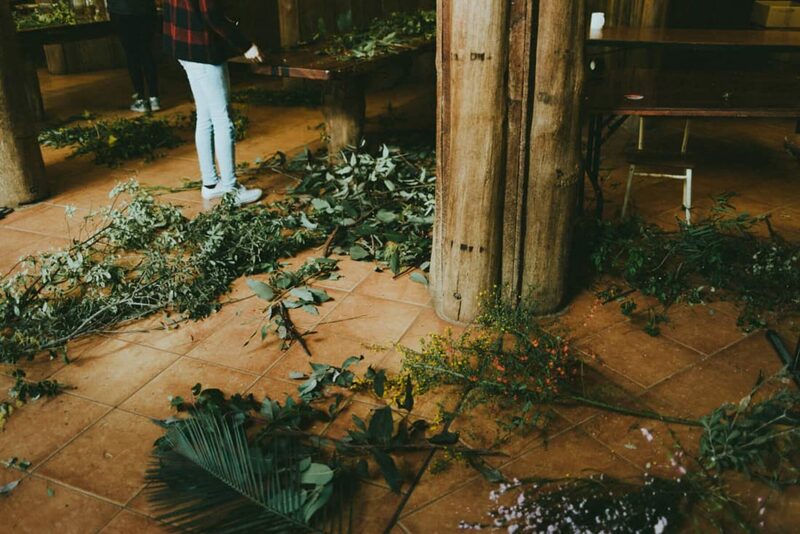 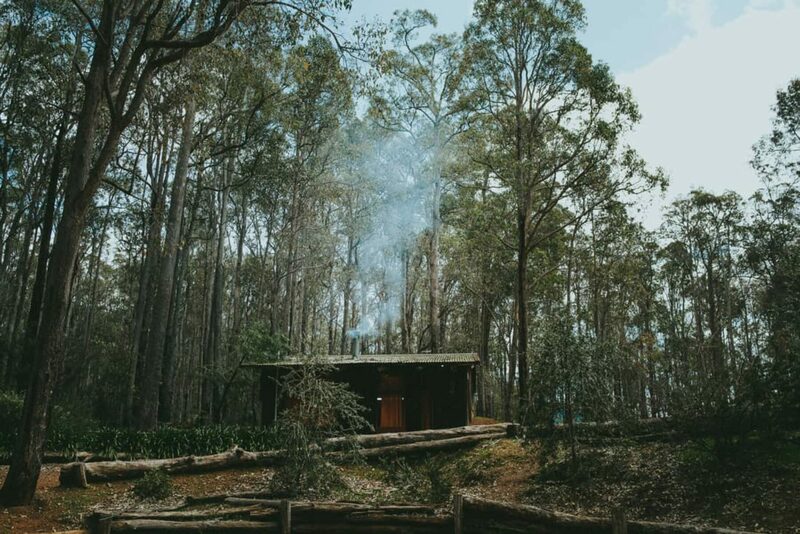 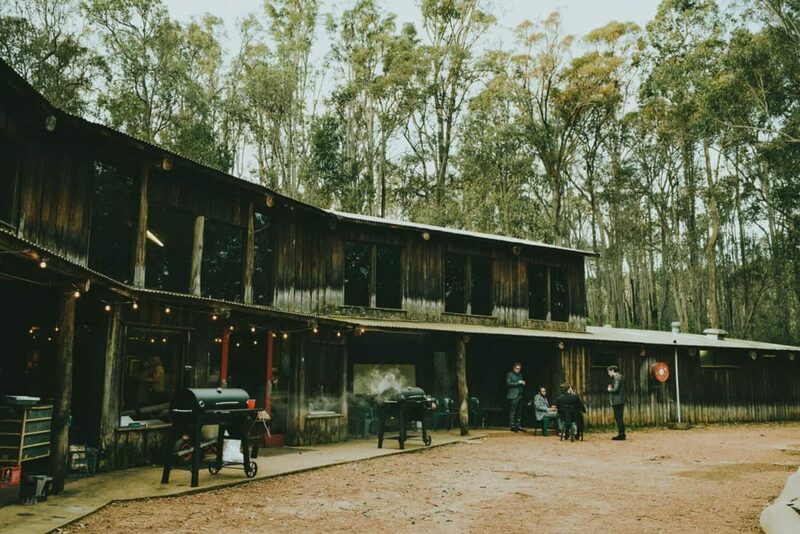 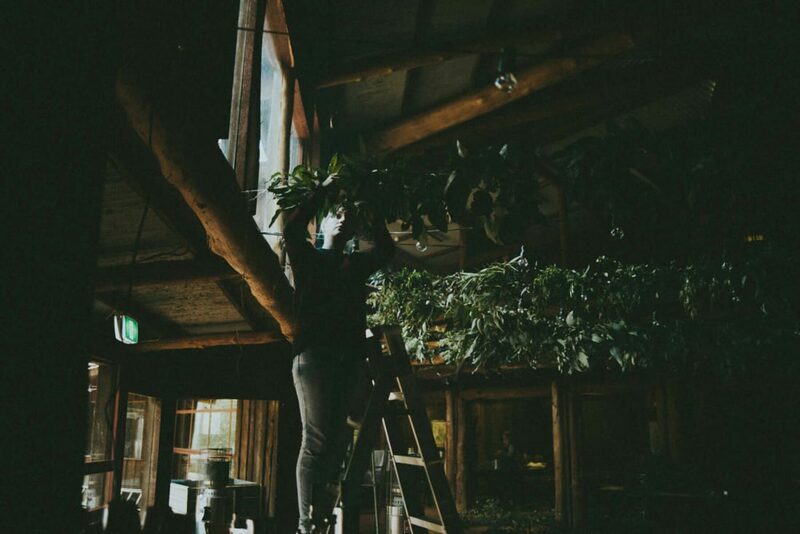 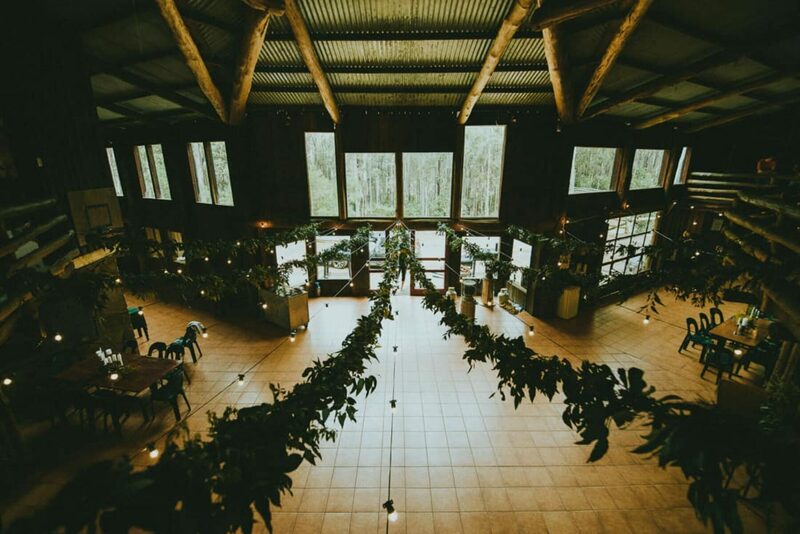 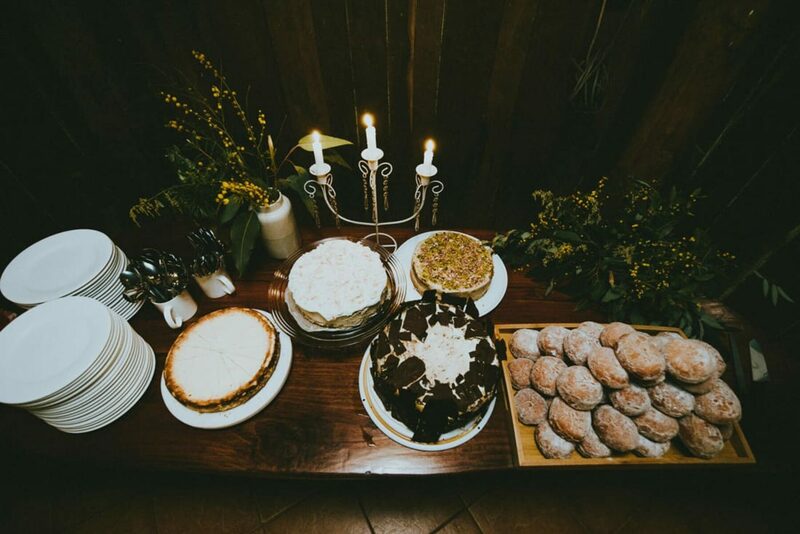 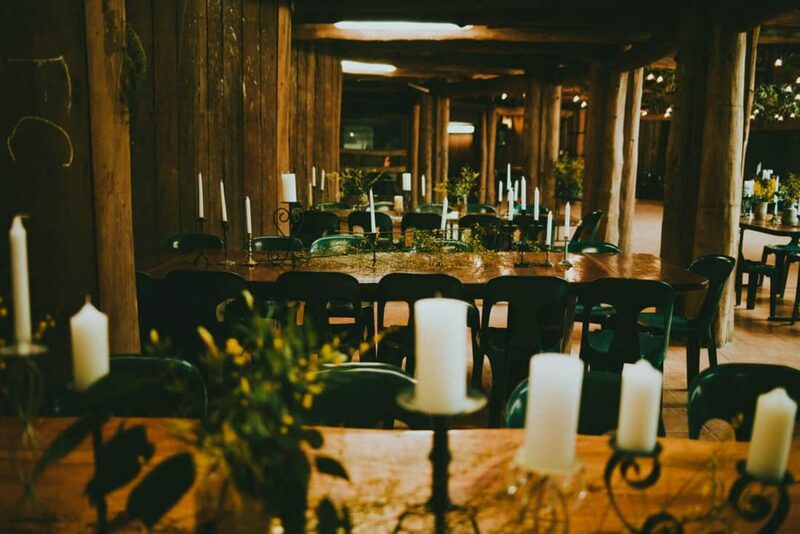 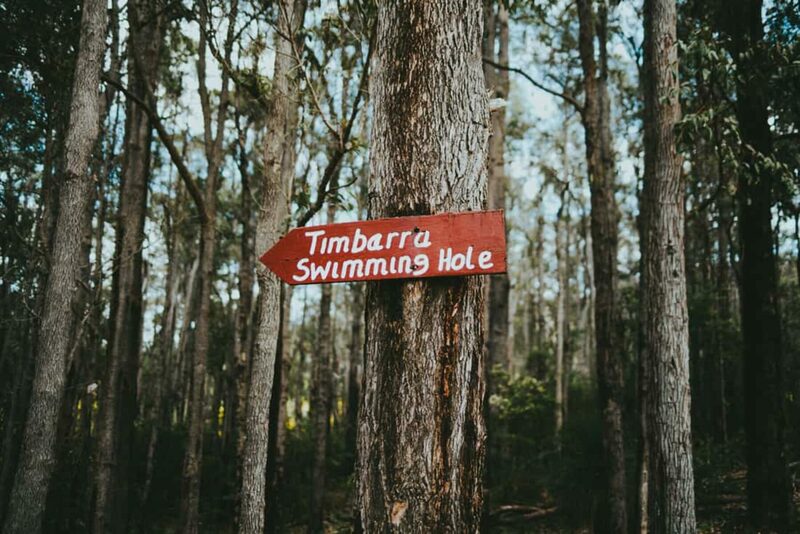 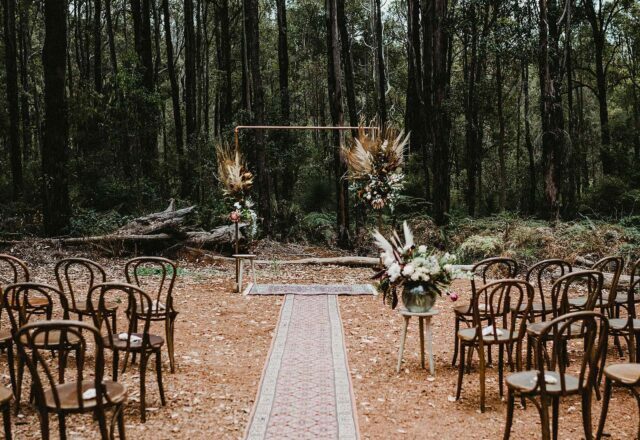 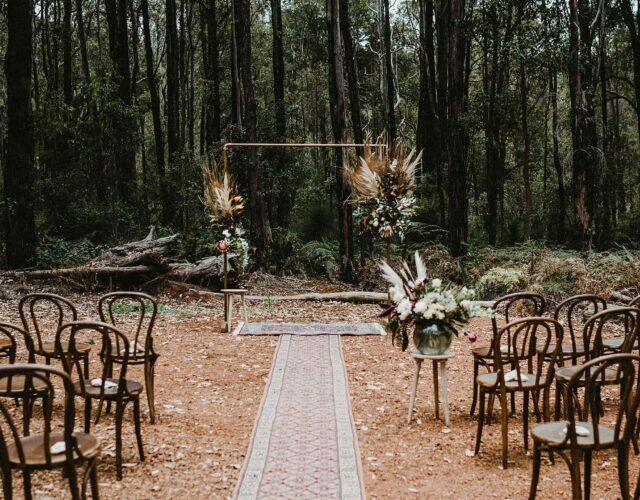 Their venue was fitting of the laidback affair, held in a wooden lodge named Timbarra, at Nanga Bush Camp, WA. 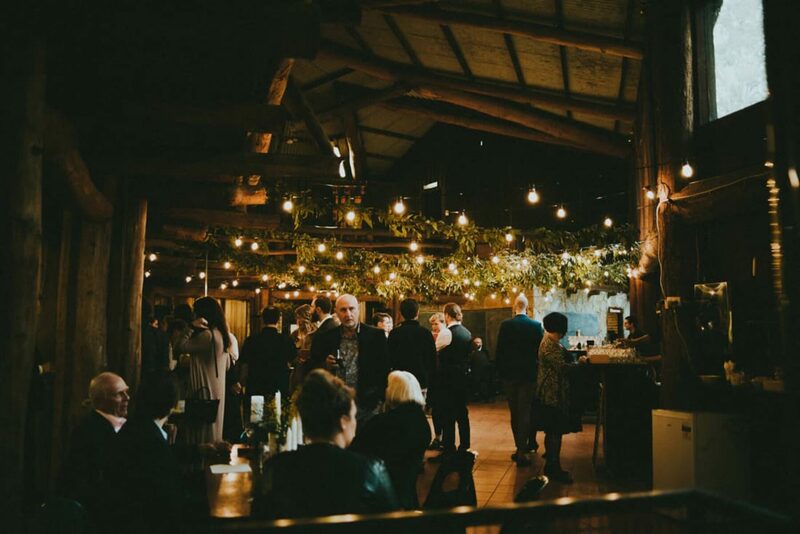 Fairy lights and candles twinkled, with mass greenery draped from one side of the room to another, thanks to a little help from friend and florist, Bianca and Honey. 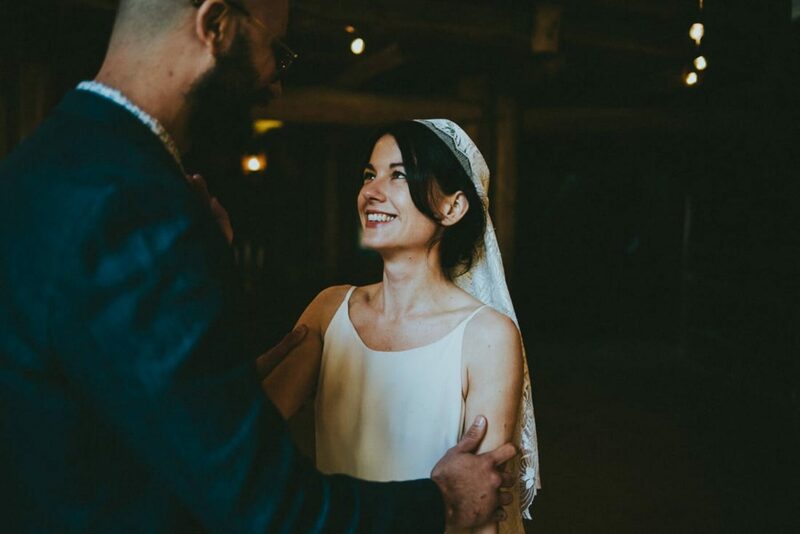 Joana always knew she wanted her mum to make her dress to ensure her gown truly reflected her relaxed personality. 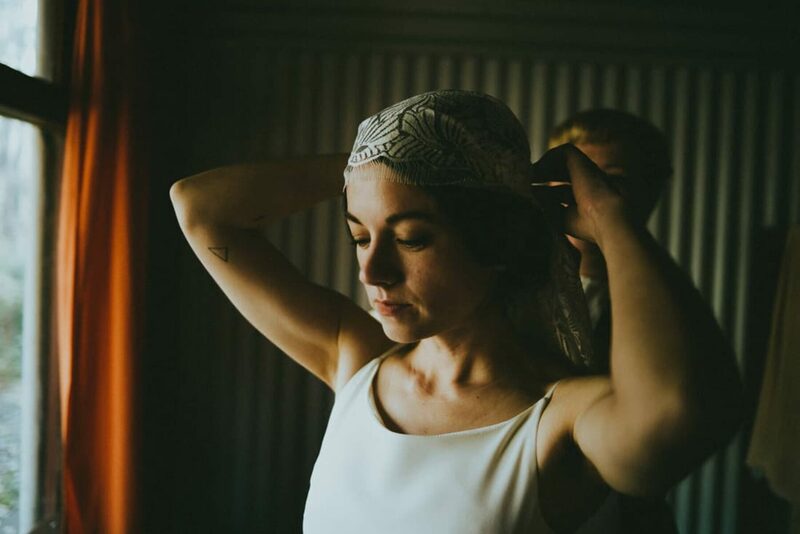 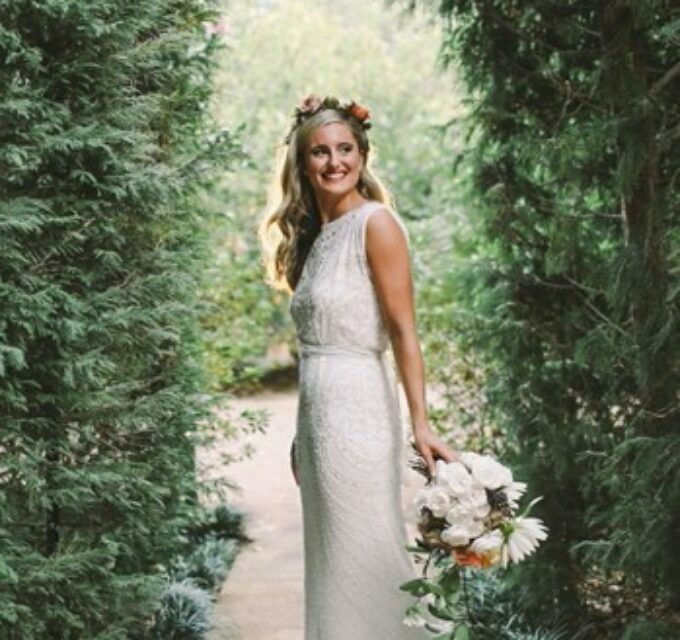 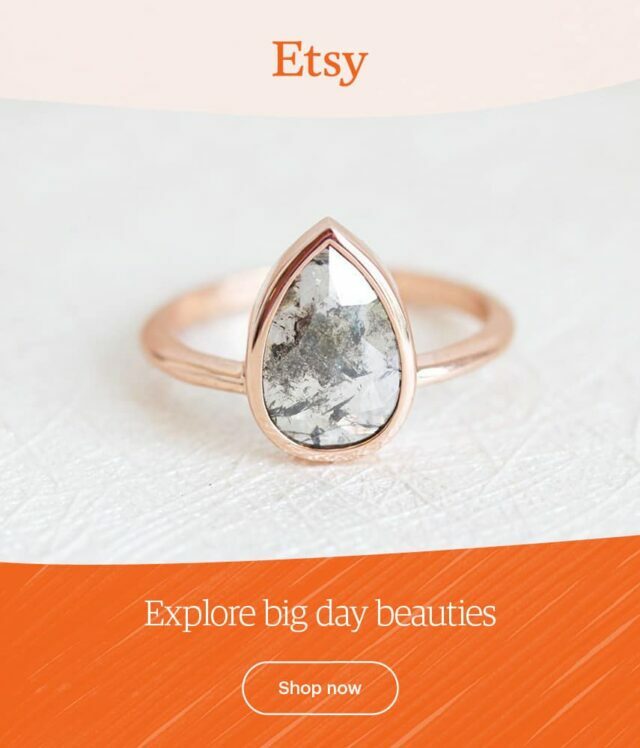 Paired with a Juliette-cap veil and simple heels from ASOS, we love her low-key bohemian look. 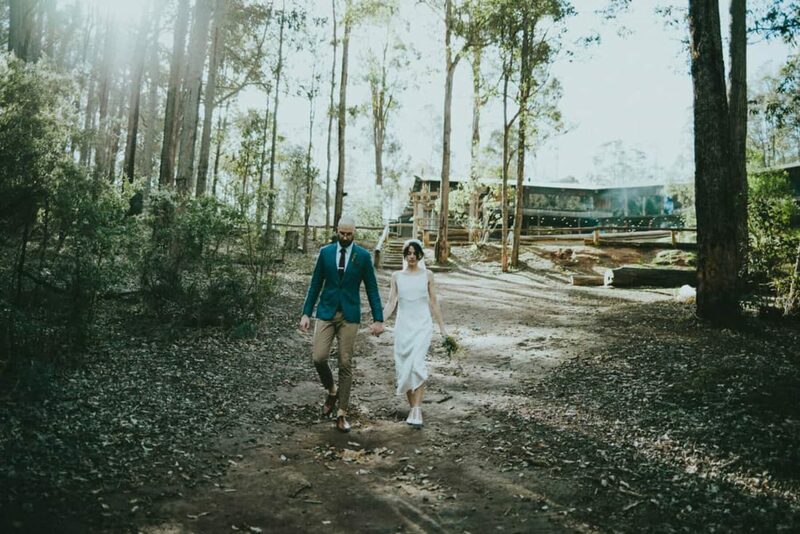 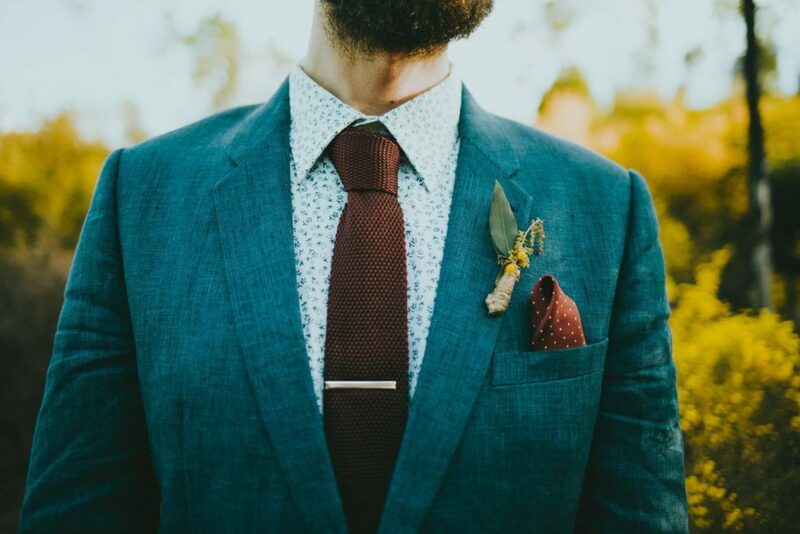 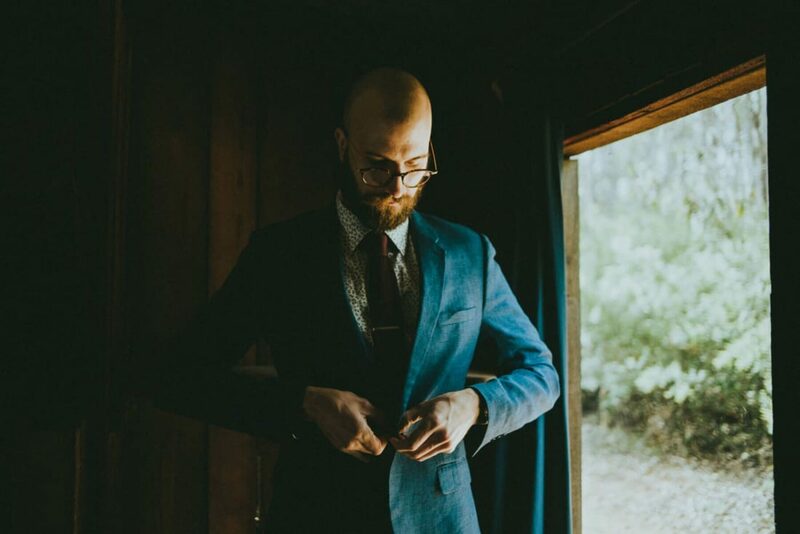 Paired with a knit tie and native boutonniere, Brett’s Jack London linen jacket and cuffed chinos were exactly the look he was going for - fun, chilled and suave. 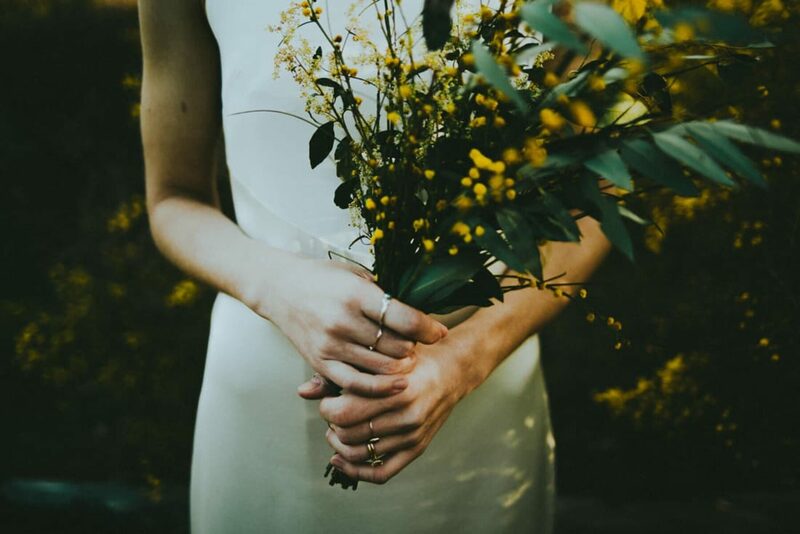 Through the lens of Tanya Voltchanskaya, the essence of the day was captured perfectly. 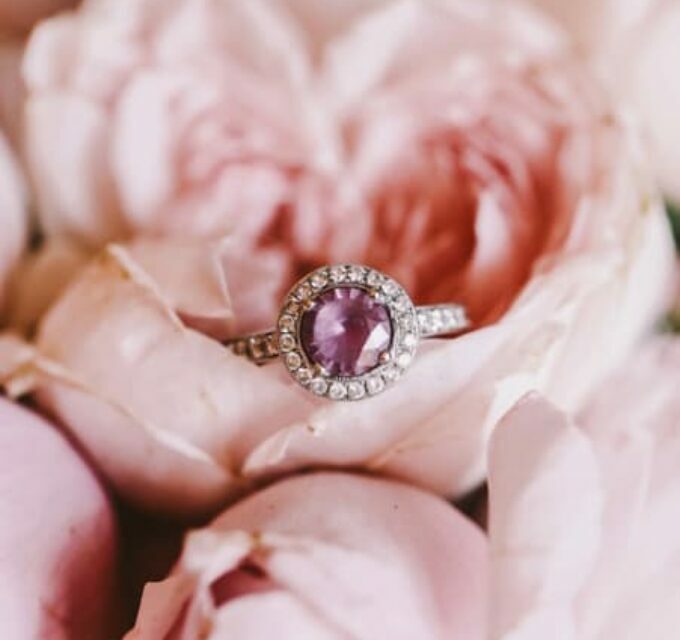 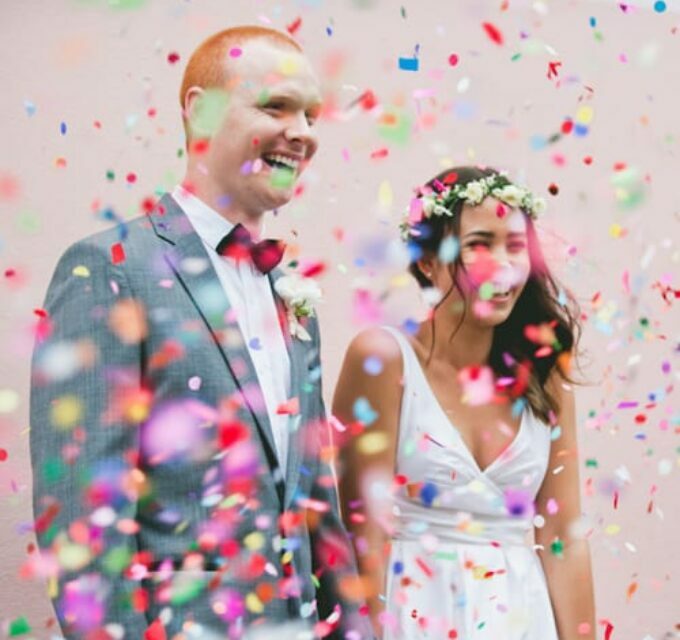 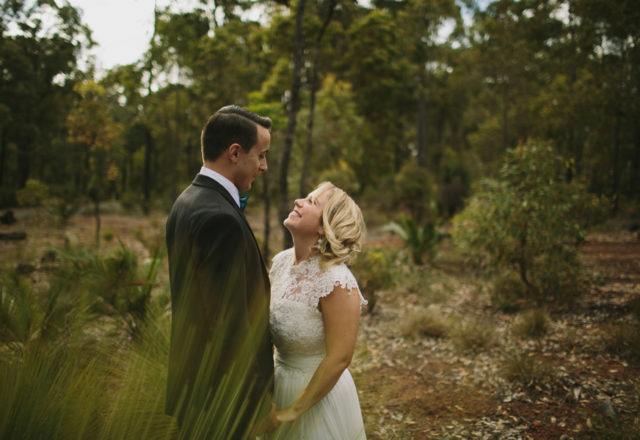 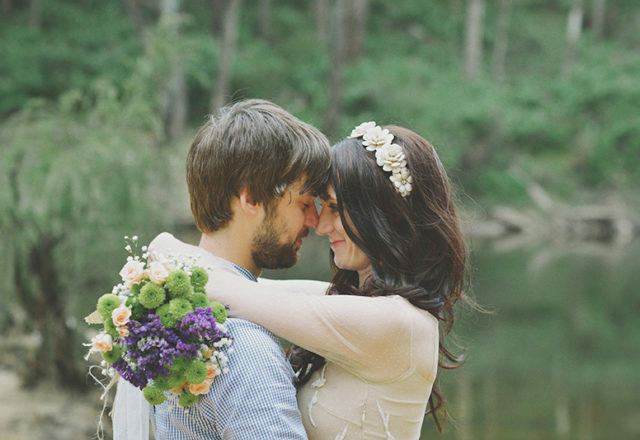 The couple tell us they wouldn't hesitate to recommend the WA photographer. 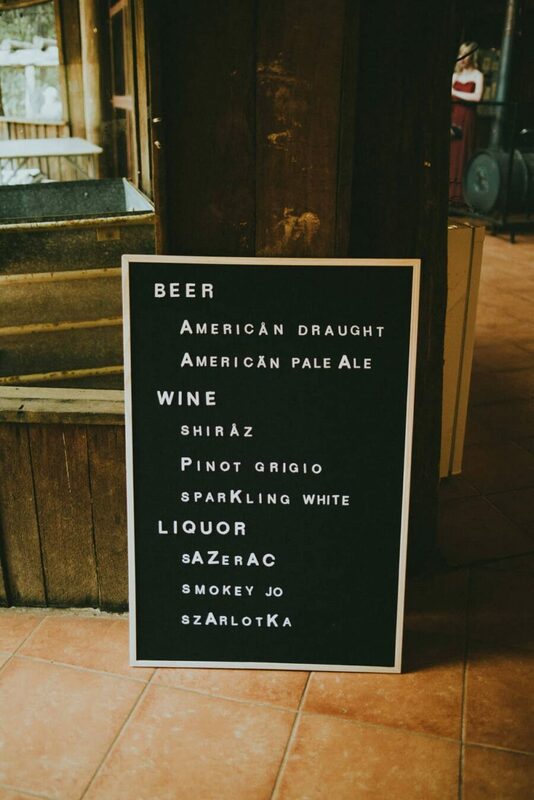 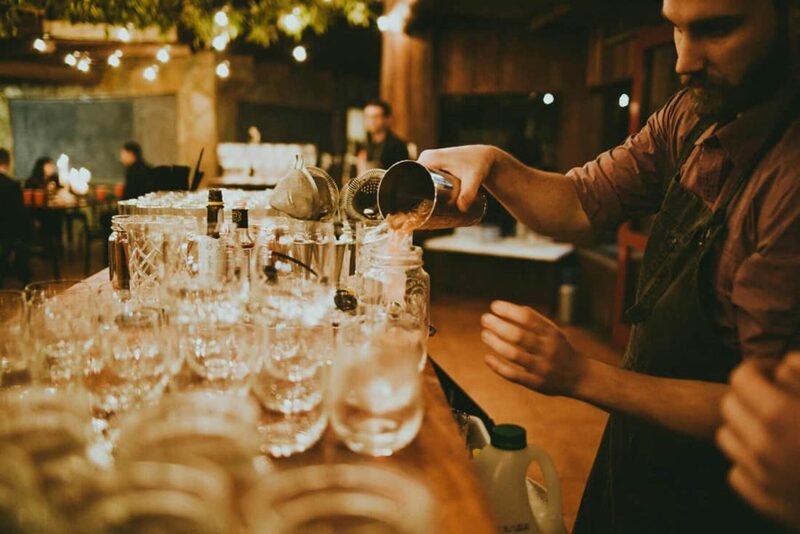 Your Bartender Perth ensured the guests didn’t go thirsty, with an epic list of ale, wine and even Polish influenced cocktails – a throwback to the couple's heritage.